We have advised on the successful merger between North Shields based AIS Training and global simulator developer Drilling Systems, to form 3T Energy Group – a new business backed by national private equity firm Blue Water Energy. Our specialist corporate lawyers also advised Blue Water Energy on its investment into AIS late in 2017. The newly formed 3T Energy Group is set to transform the global energy skills sector by bringing together two of the leading players in industrial training and simulation. By joining forces, the unique new technology-focused organisation will help the global energy industry work smarter, safer and more efficiently. 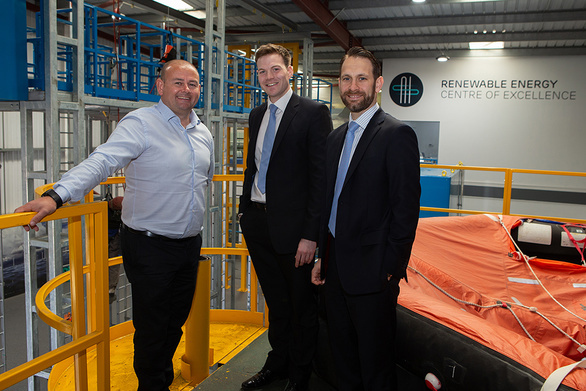 London based private equity firm Blue Water Energy, which acquired Drilling Systems in 2015, is providing significant investment to help the new group achieve its ambitious growth plans, which include strategic global acquisitions and three new UK training centres in the next two years. AIS delivers world-class specialist training for the offshore oil and gas, wind energy and industrial sectors from its state-of-the-art industrial training facilities throughout the UK, including its Newcastle based 20 acre training village. In a ‘first of its kind’ approach for the energy industry, technology such as simulators, e-learning, virtual reality, iPads and integrated software will be used alongside traditional training methods to enhance the skills, knowledge and performance of energy sector personnel. Together, Drilling Systems and AIS have an unrivalled product range and global reach, with offices and distributors in all of the world’s key oil and gas hubs – including Houston, Dubai, Jakarta, Canada, Vietnam and Australia.